Earlier today, news broke that Meadowlark Lemon, the famed Clown Prince of Basketball of the Harlem Globetrotters, passed away over the weekend. 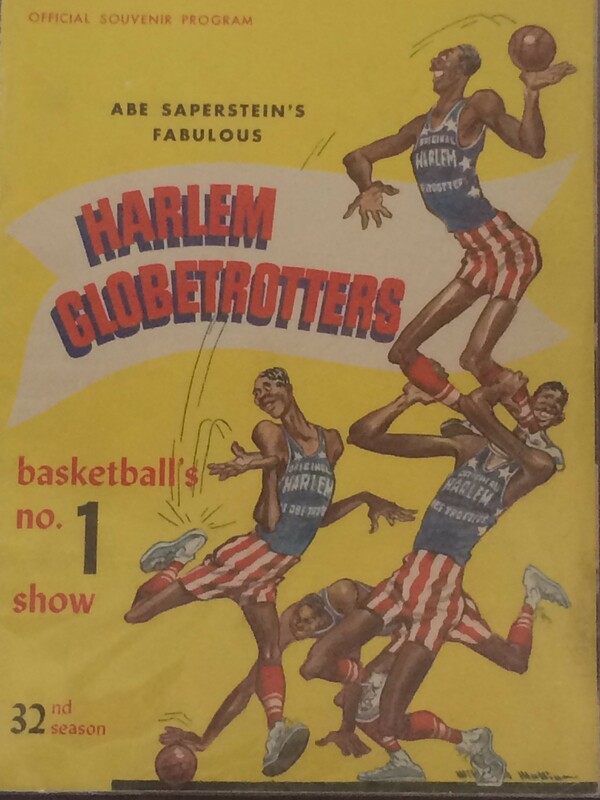 Although by the time I finally saw my first Globetrotters game on their 1983 tour, Meadowlark had long left, but I had obviously grown up with him on a steady diet of ABC’s Wide World of Sports, the team’s own cartoon series, and the guest appearances on Scooby-Doo. A quote from Wilt Chamberlain – “Meadowlark was the most sensational, awesome, incredible basketball player I’ve ever seen,” Chamberlain said in a television interview not long before he died in 1999. “People would say it would be Dr. J or even Jordan. For me, it would be Meadowlark Lemon.” – prompted me to dig into the KU BALLS archives for an item that tied together Meadowlark and Kansas basketball. 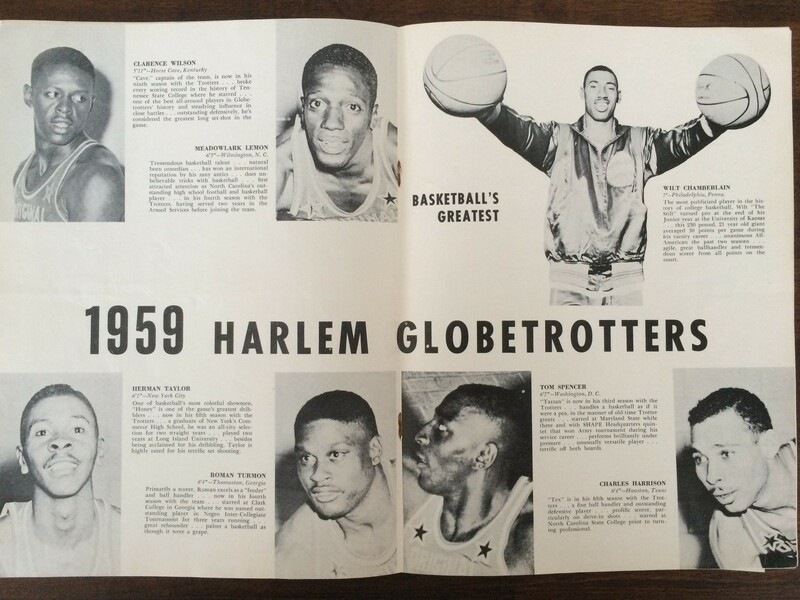 Above is a program from the Globetrotters’ 1958 European tour signed by Wilt (upper left) shortly after leaving the University of Kansas to join them. 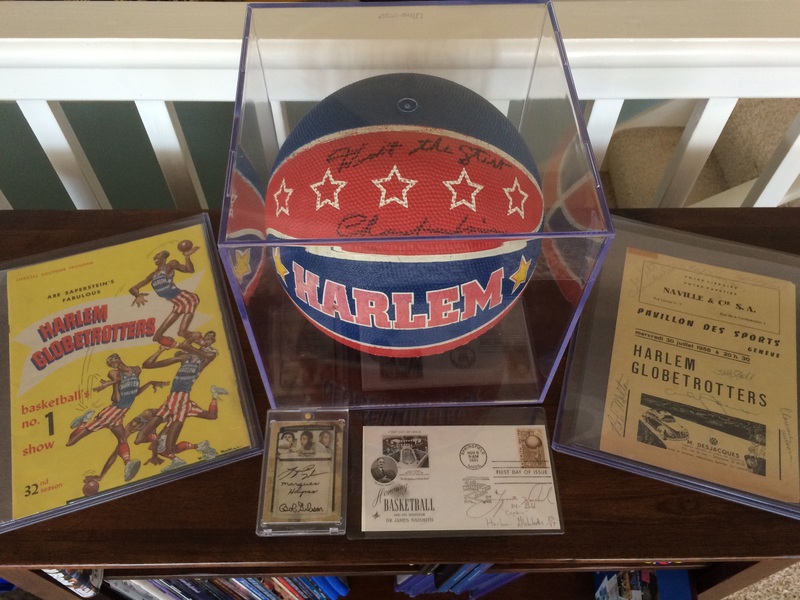 There are also signatures from former Globetrotters Bob Milton, Clarence Wilson, Andy Johnson, Bob Hall, Tex Harrison (who later became the team’s coach), and – in the upper right hand corner – Meadow (sans the “lark”) Lemon. 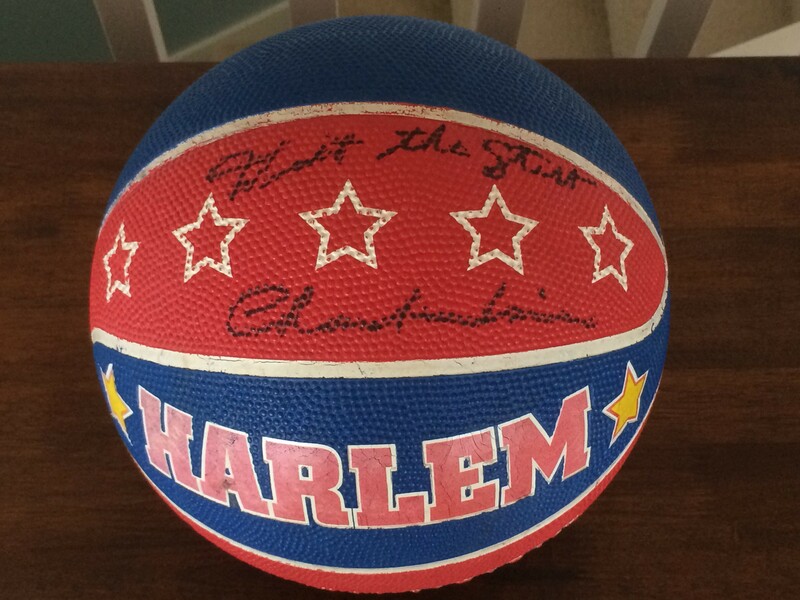 Wilt hated the nickname “the Stilt,” but above is one of the relatively few items he signed using it. 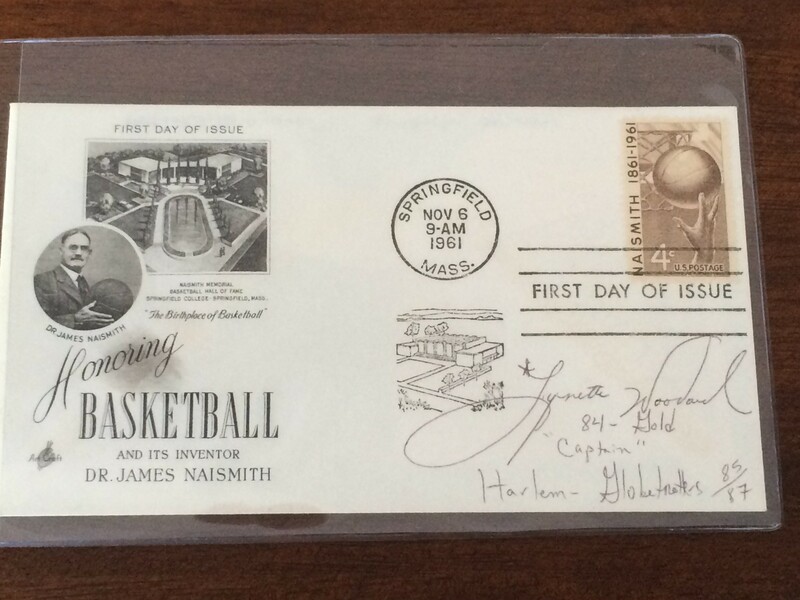 Lynette Woodard signed this shortly after being elected to the Naismith Basketball Hall of Fame. 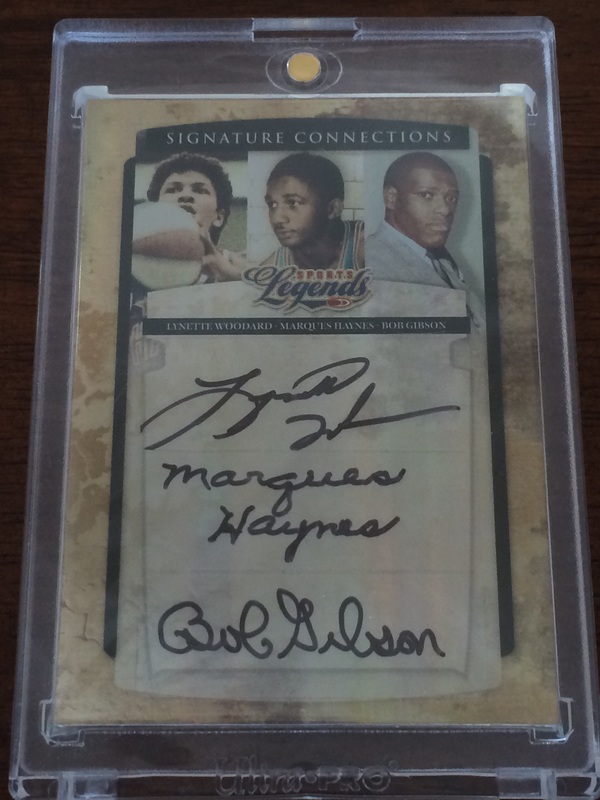 A card signed by Globetrotters Lynette Woodard, Marques Haynes (renowned as the World’s Greatest Dribbler and who also passed away in 2015), and Bob Gibson. Yes, that Bob Gibson. Gibson was a brilliant basketball player at Creighton University, and after graduating spent part of 1957 with the Globetrotters – even after signing a contract to pitch for the Cardinals. Oh, and Gibson’s roommate while he was with the Globetrotters? Meadowlark Lemon. No one will ever have a shot that compares to Meadowlark Lemon’s half-court hook. 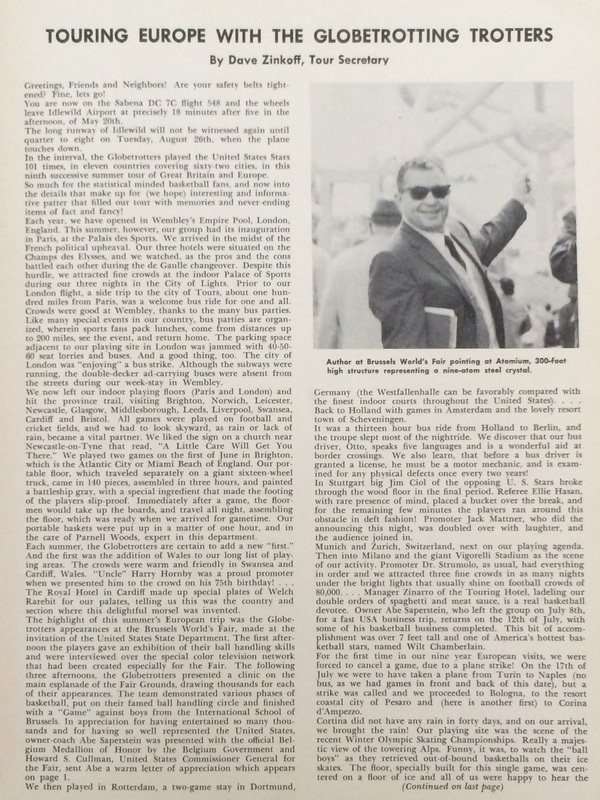 A tip of the cap from KU BALLS to Meadowlark upon his passing. If this is indeed the David Nash who played at KU as well as for the Globetrotters – Hello! I hope you found the post entertaining. I have a Harlemglobetrotter action photo to donate . Please give me a mailing address.